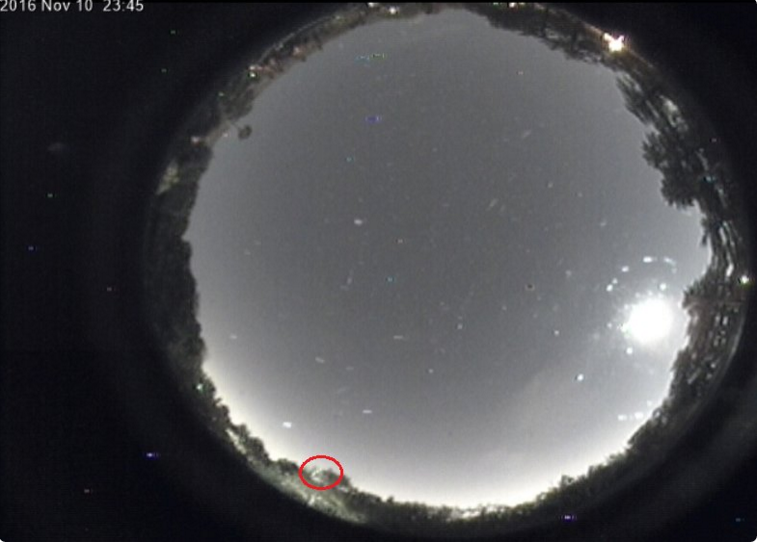 5-minute stacked image of a Fireball recorded on my All Sky Camera. Very low on the horizon and shining through the trees. At least 5 other people have submitted reports on AMS on this event.